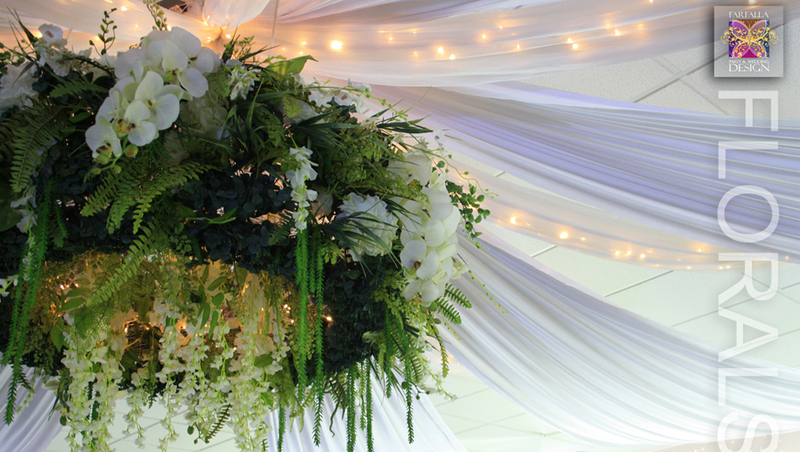 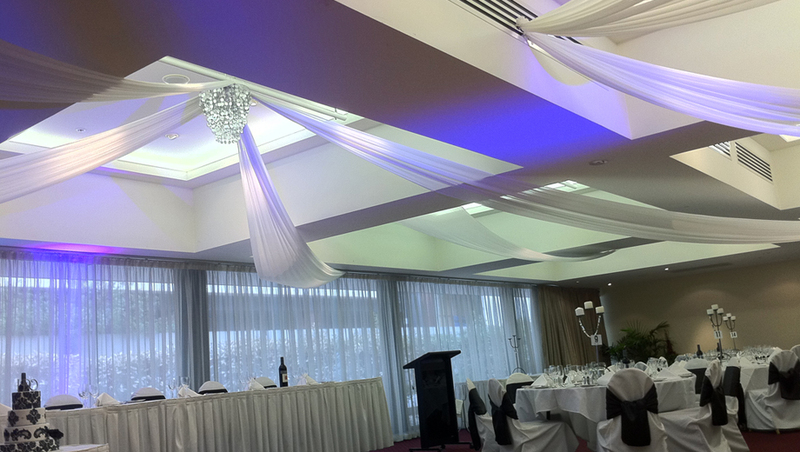 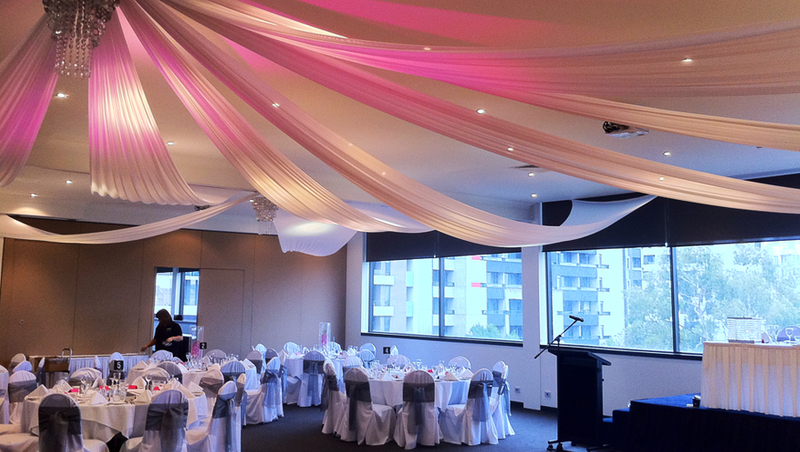 There is no one standard price for ceiling draping. 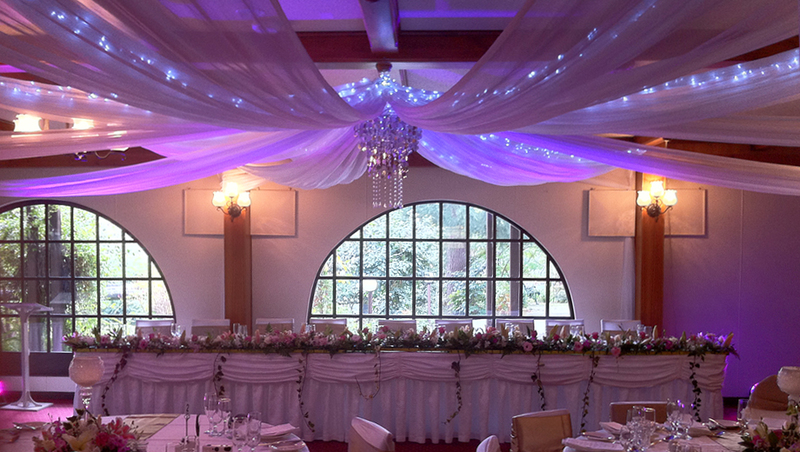 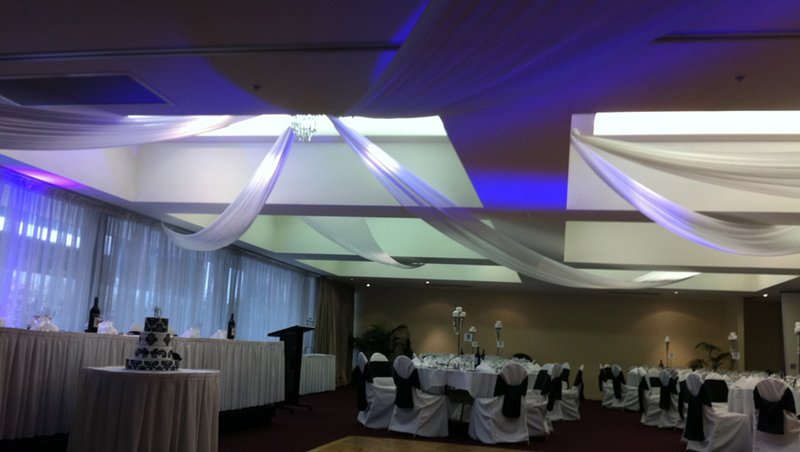 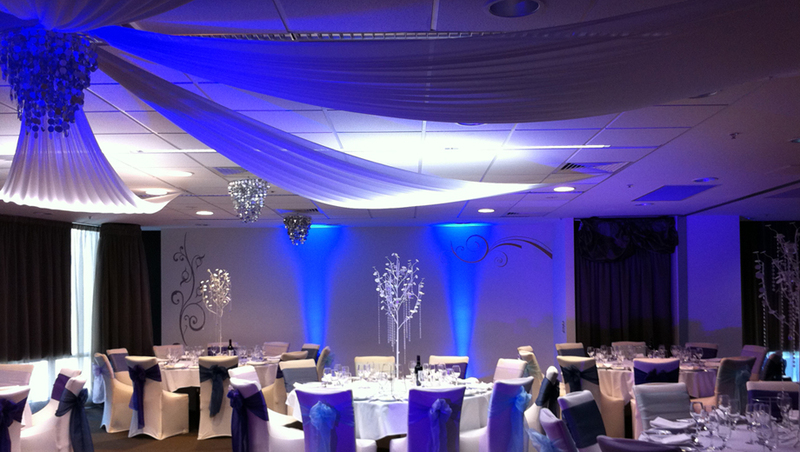 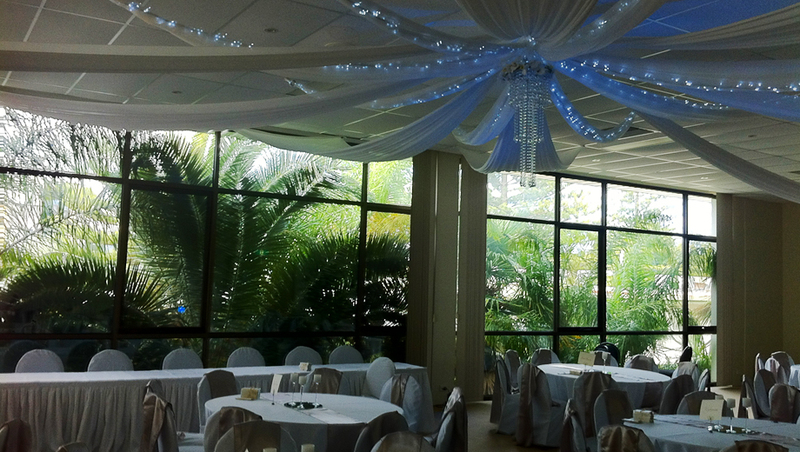 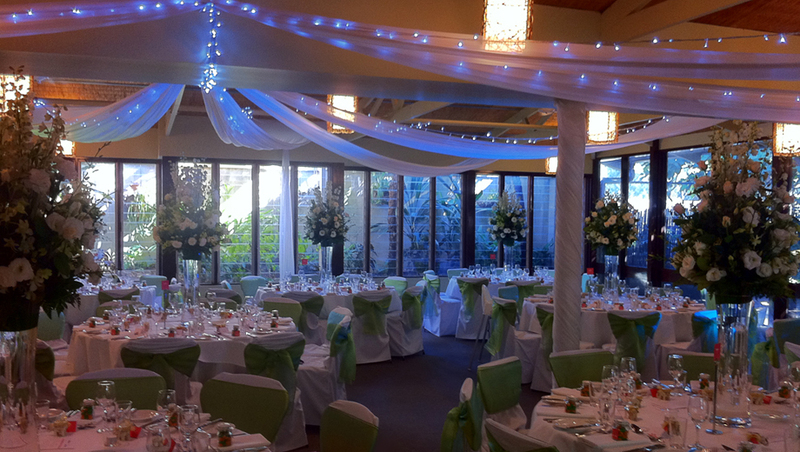 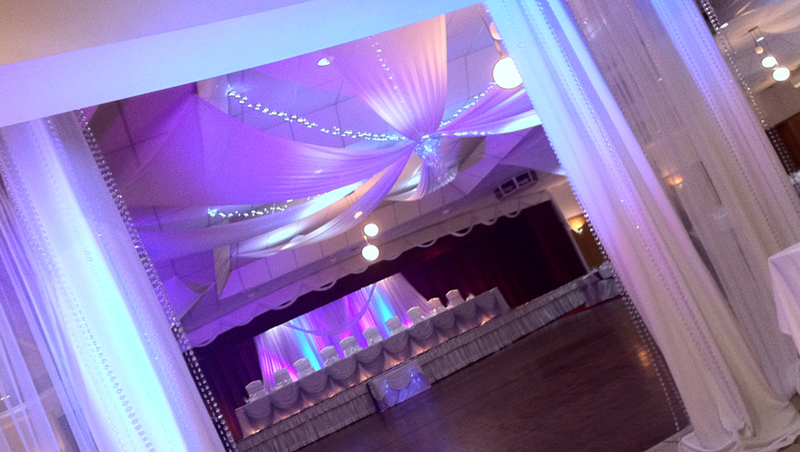 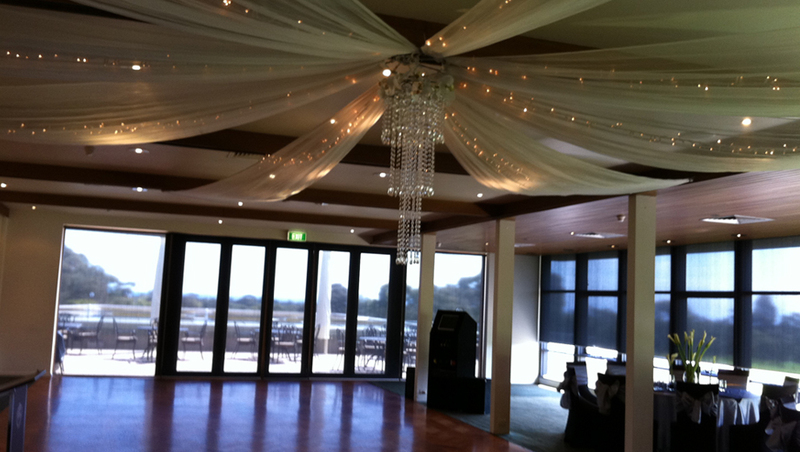 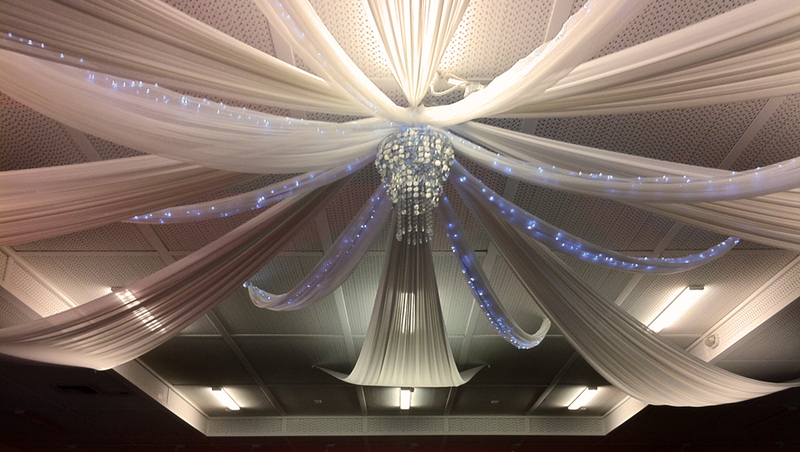 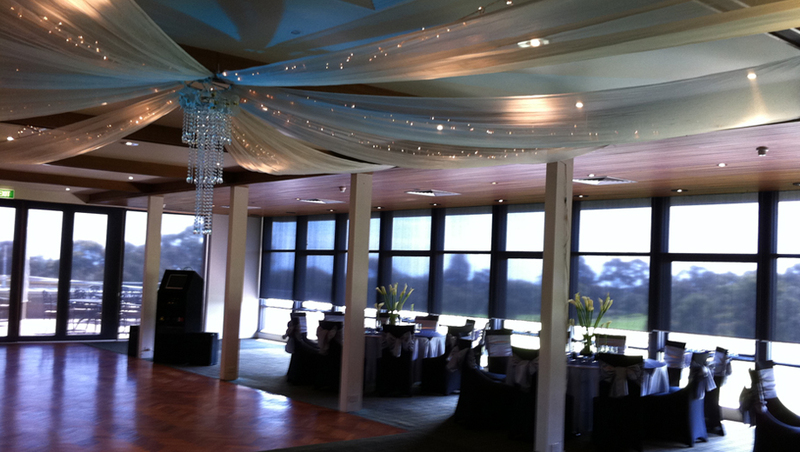 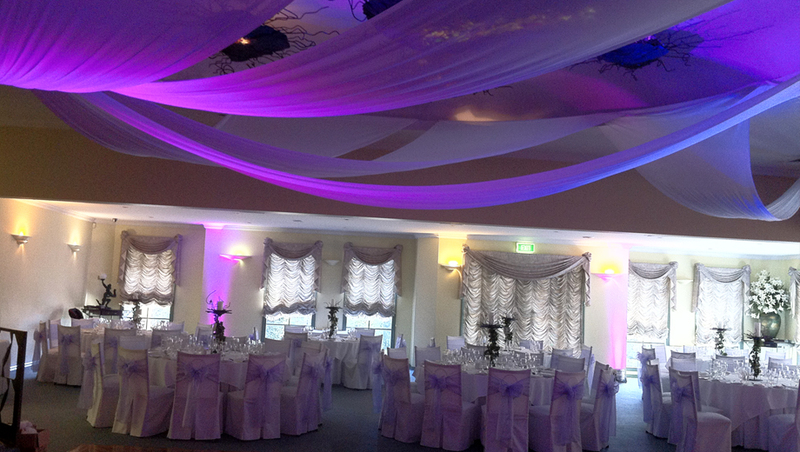 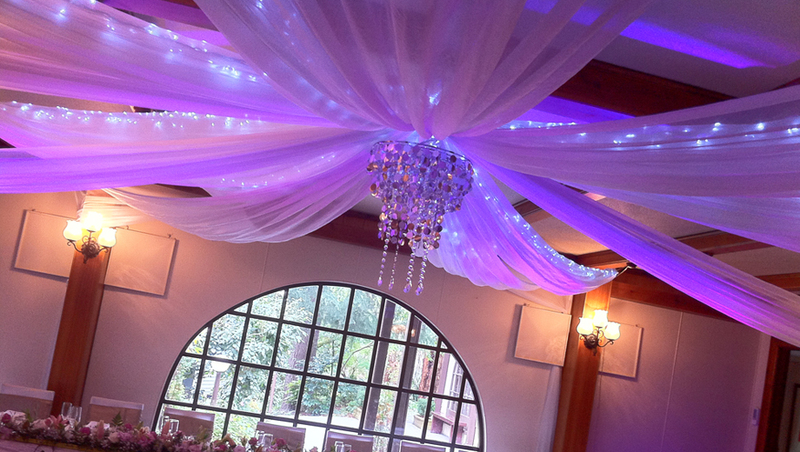 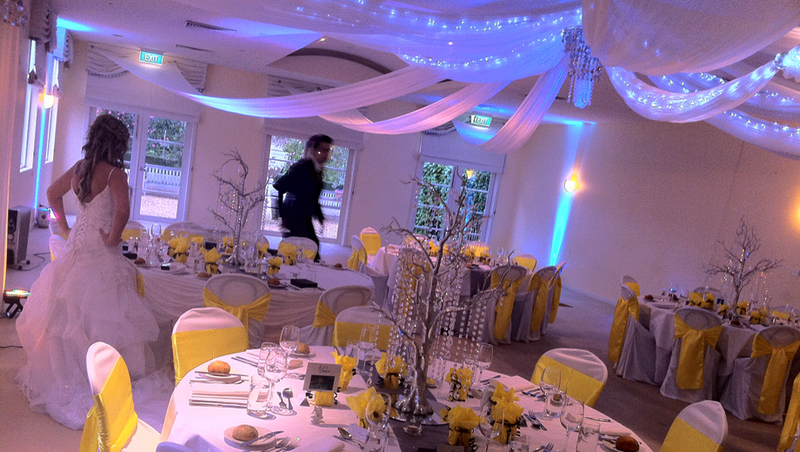 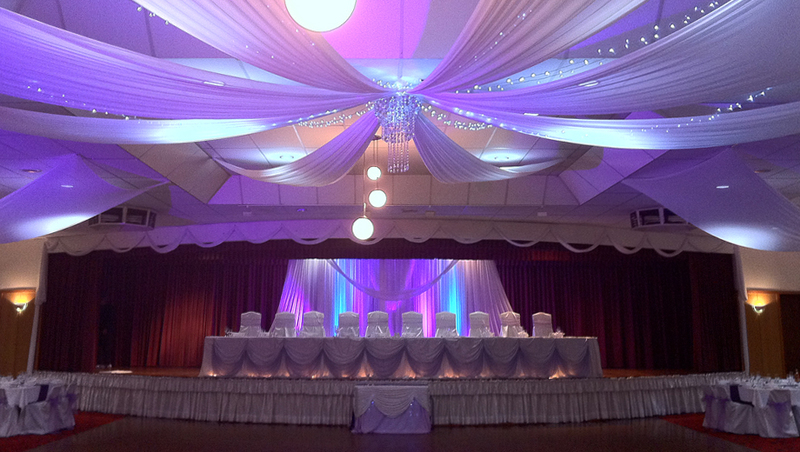 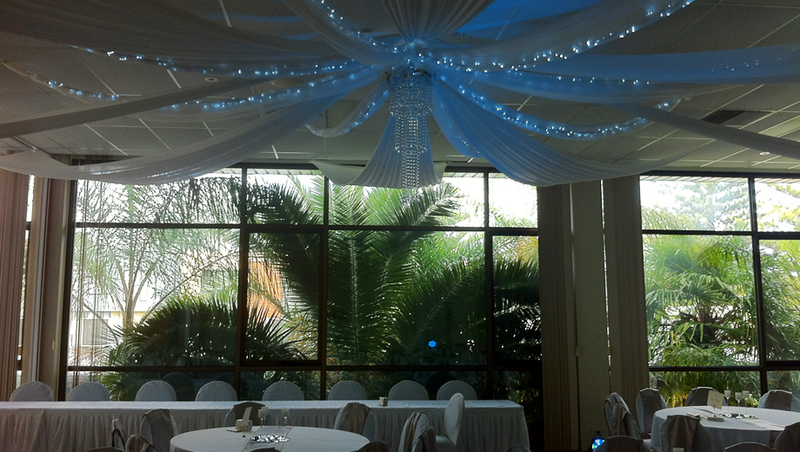 Drapes can be different such as with or without fairy lights, with or without chandeliers etc. 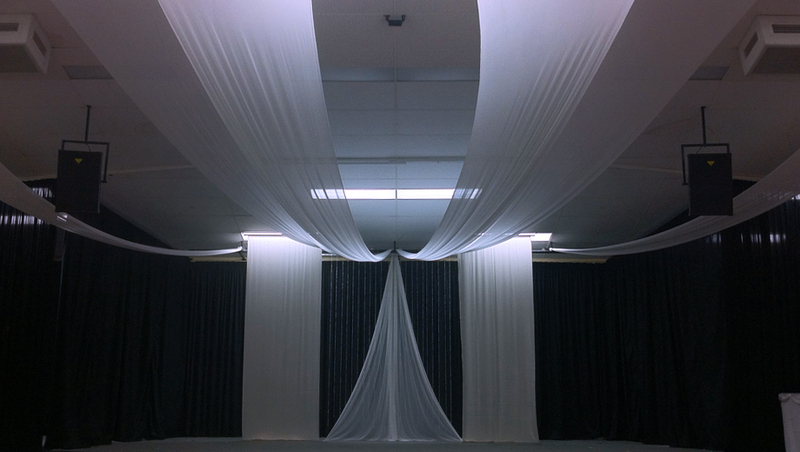 All the venues / halls also have different ceiling types, heights and different rules. 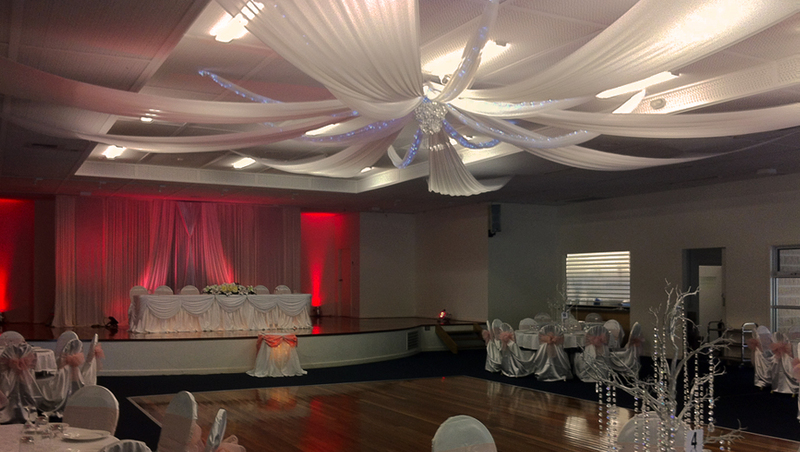 Please email us clear photo of the venue (with the ceiling) and heights and other dimensions and we will quote. 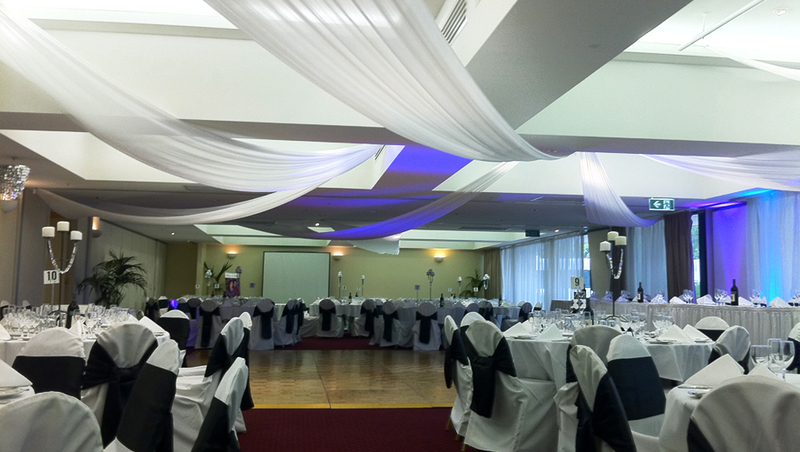 Make sure you have spoken to the venue management before hand to find out what their rules are. 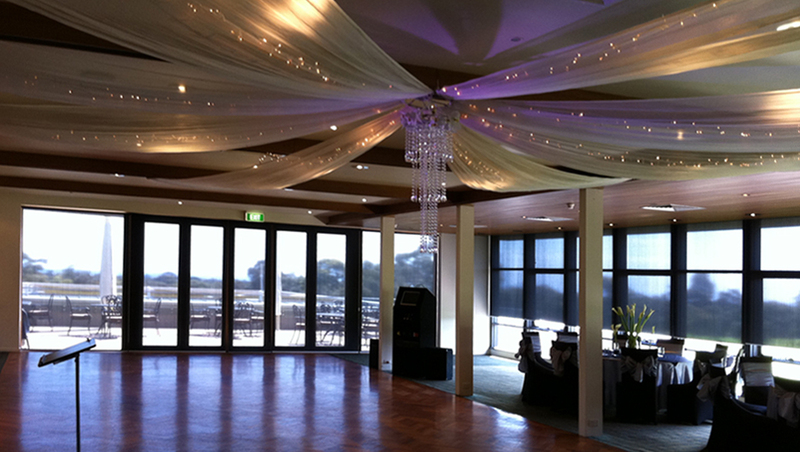 Maximum height we work with is 3.4m (Sometimes we can make exceptions). 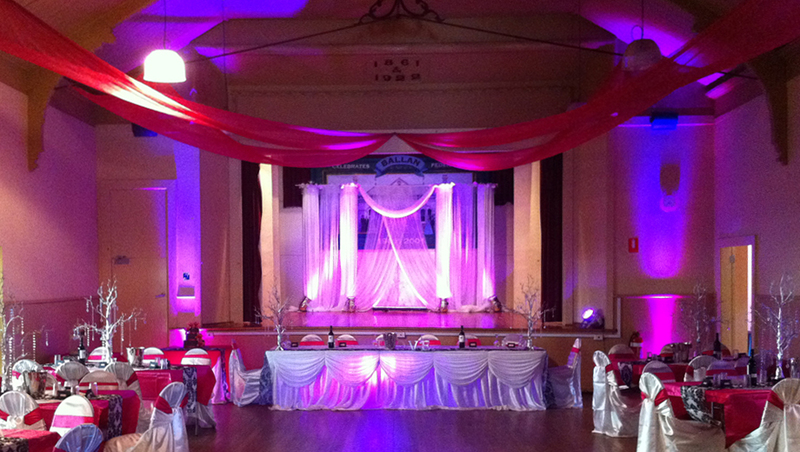 Prices start from $490 including set up. 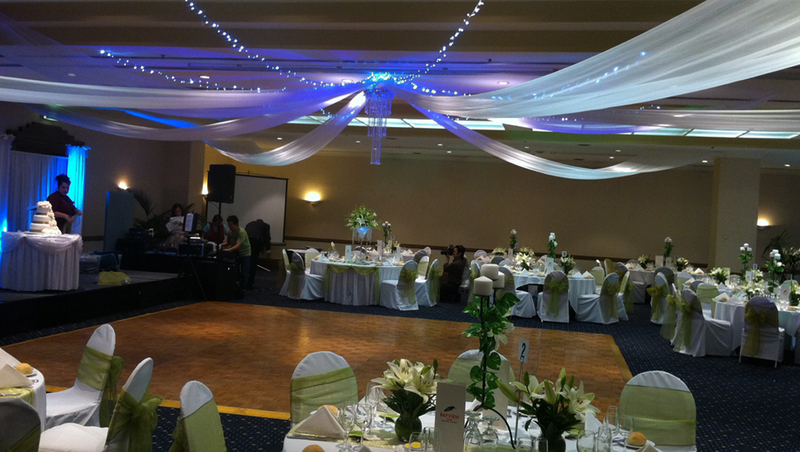 Farfalla Party & Wedding Design specializes in Hall Transformations, Backdrops, Ceiling Draping and Designer Centrepiece Hire. 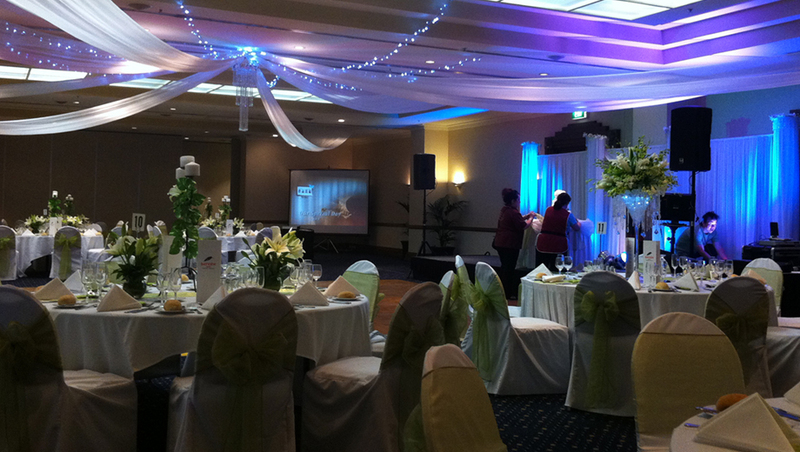 Farfalla is not just party hire company. 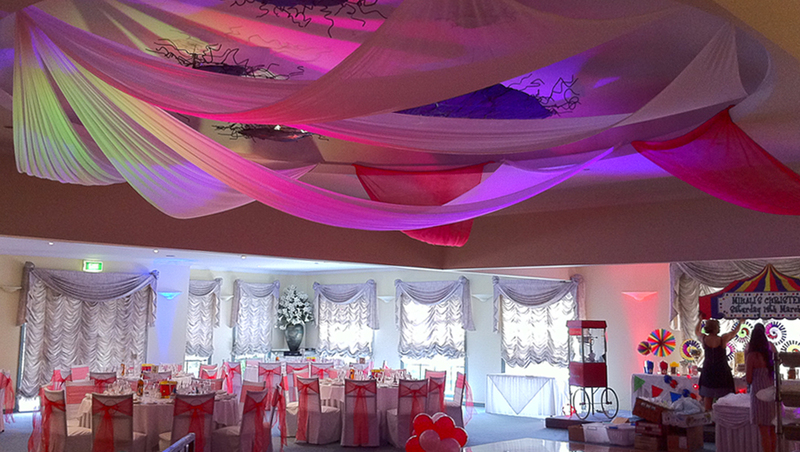 We are a team of professional designers and highly trained decorators. 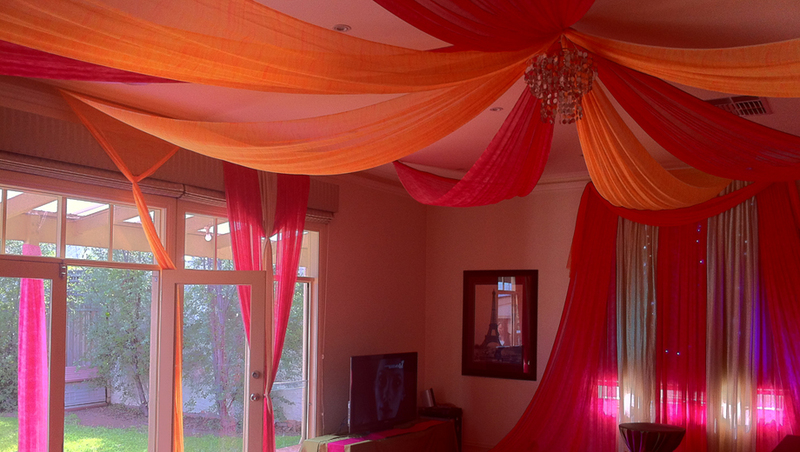 Being an online bisiness for last 10 years helps us to keep prices affordable so you can enjot designer quality for a very affordable price. 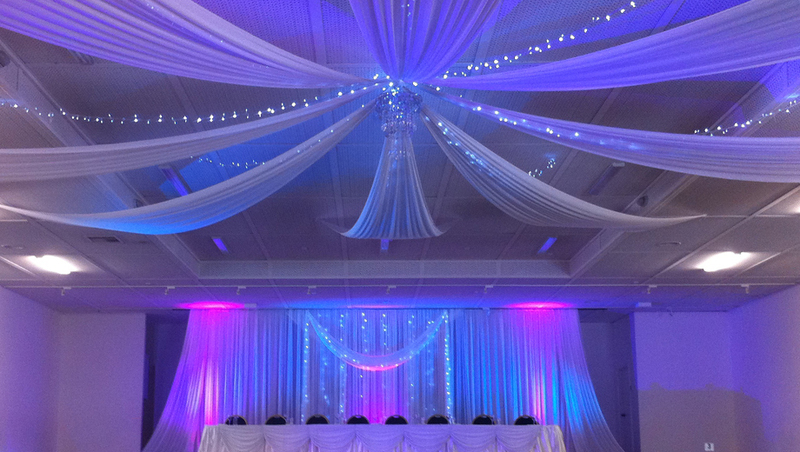 Our pricing system is very simple, all prices desplayed on our website and we will never charge you anyting on top. 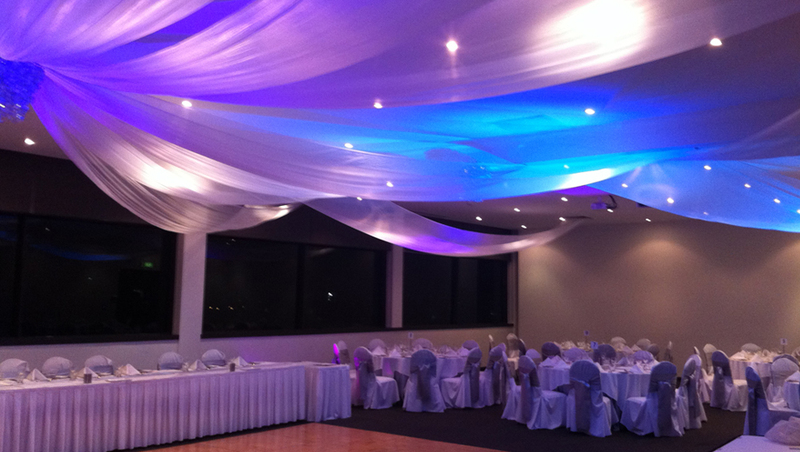 Delivery price can vary depending on your venue location.